Asia’s billionaire family boardrooms are making way for heiresses. Michelle Li, the 23-year-old granddaughter of Li Ka-shing, Hong Kong’s richest person, has joined him, her father and uncle on the board of Chesterfield Realty Inc., a family-controlled unit of CK Hutchinson Holdings, according to the Hong Kong Company Registry. She’s among third-generation women being groomed for leadership at conglomerates created by some of Hong Kong’s wealthiest patriarchs. While her father, Victor Li, took the reins last year from Li Ka-shing, 90, as chairman of the group’s flagship companies, her appointment shows that succession planning is already under way for a generation from now. 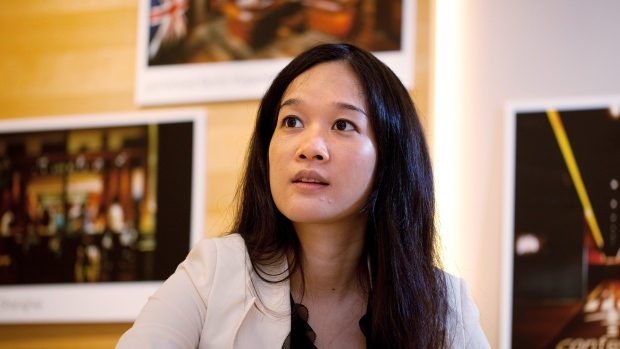 Harvard University graduate Sonia Cheng runs the Rosewood Hotels arm of New World Development Co., founded by her grandfather Cheng Yu-tung. Kristine Li, the eldest granddaughter of property tycoon Lee Shau Kee, studied at Stanford University and is a deputy general manager at Henderson Land Development Co.
Yang Huiyan, co-chairman of Country Garden Holdings Co., was only 23 in 2005 when she inherited her father’s stake in the real estate developer. The Ohio State University graduate is now worth $19.2 billion and China’s richest woman, according to the Bloomberg Billionaires Index, a ranking of the world’s 500 wealthiest people. Theresa Tse, a graduate of the University of Pennsylvania’s Wharton School of Business, was 22 in 2015 when she became chairwoman of her father’s Sino Biopharmaceuticals Corp. Her stake is worth US$1.1 billion. Perenna Kei, 28, joined the board of Logan Property Holdings in 2010. The company was founded by her father Kei Hoi Pang.